I’m very happy to announce the release of No Innocent Eye. 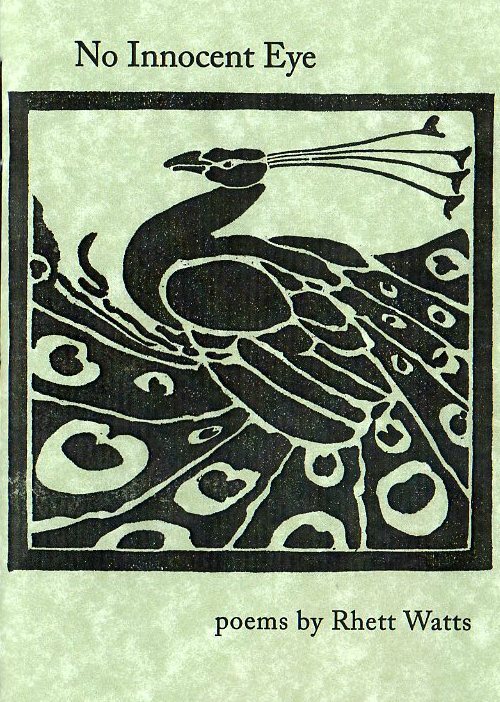 This chapbook, by Rhett Watts, is Number Two in the Rane Arroyo Series and features a woodblock cover design on 24-lb celery Southworth papers. Please share in our congratulations to Rhett on the overdue publication of this fine collection! This entry was posted in Rane Arroyo Prize and tagged No Innocent Eye, Rane Arroyo Chapbook Series, Rhett Watts on March 22, 2014 by Seven Kitchens Press.